CAS and easy! I used the Hugs Die-namic from MFT, and my kitty cut is from Ali Express. This card will be perfect for my cat loving friend! Once I cut out the Hugs, I ink sprayed the letters with blue and green. I do love the intense color against the white card base. Your turn! 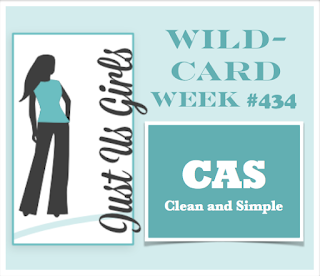 Come on over to Just Us Girls Challenge #434 and play along in this super easy challenge! Very nice card, love the cat tucked into the hug word. Perfect mf. Your card is "purr-fect" for this challenge! Love that big ol' hug paired with the little kitty! Great technique on the letters! Love this card! This really grabs your attention! So CAS - I love it! 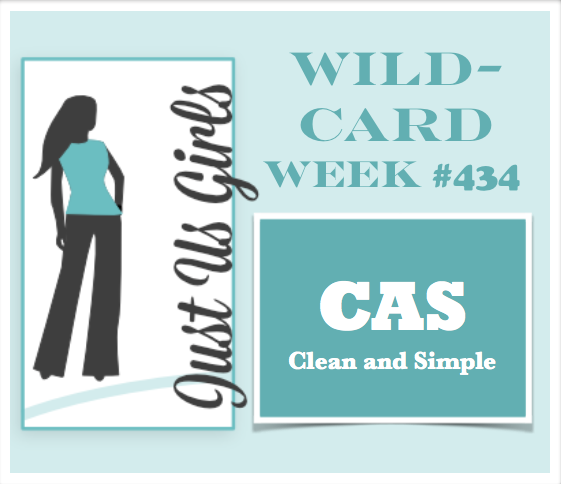 Fun CAS card with the big HUGS and the kitty in the corner. CAS perfection! Sensational card and Happy Easter to you! That blue/green spray just adds a whole new look to your perfectly black cat and sentiment. Sure is CASuper. Very cool! I love how you sprayed the bold letters with the green and blue. You make CAS look awesome! Gorgeous colors for the die cut sentiment and I love the cat peeking out behind! Love that little cat tucked into the big sentiment! This is cute! I love that little kitty tucked behind the word die, Vickie. The sprays add just enough color to give interest to the black. Super cool! Love that bold color and the cute little cat! Perfect CAS card.